Cornish people have been officially declared as a national minority group along with the Welsh, Irish and Scots. Now recognised alongside the more established members of Britain’s Celtic fringe, the Cornish will have the same rights and protections made under the European convention. The status is a victory for campaigners, as the last three attempts to include the Cornish in the Framework Convention were previously unsuccessful. Contributory factors to the recent success included the 84,000 people who declared themselves “Cornish” in the 2011 Census, and a further 41% of pupils in Cornwall’s schools that described themselves as Cornish in a 2011 school survey. Also, the Cornish language is enjoying a robust revival with 557 people claiming the Celtic dialect as their main language; a language which until 2010 was classified as extinct by the United Nations Educational, Scientific and Cultural Organisation. Cornwall is valued at £75bn (0.6%) of the economy, with a £1.1m average annual tourism revenue. It’s officially Spring! The season has been fully declared now that the seven Magnolia campbellii trees from seven gardens in Cornwall have flowered with at least fifty blooms. Cornwall is the only place to see the flowering magnolia trees in the UK at this time of year, and it’s a wonderful sight to behold. VisitCornwall have a lovely introductory video to give more information on the blooms and a glimpse of their current phase in some of the magical gardens across Cornwall. Now is a great time to visit Cornwall. 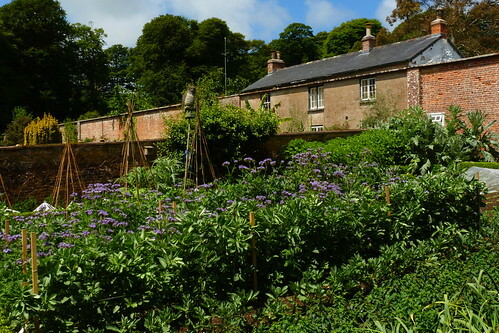 The weather is milder and the sun sets later, so time starts to take on a slower quality, allowing for longer walks and visits to the many Cornish gardens in full springtime bloom. Trengwainton is one of the gardens where you’ll be lucky enough to see the magnolias; and with 25 acres to explore you’ll encounter rhododendrons and camellias, a walled kitchen garden, winding wooded paths, dappling streams and open views across Mount’s Bay. Rest your weary feet at The Retreat in the tiny hamlet of Badger’s Cross, near Penzance. A semi-detached converted barn with views of Mount’s Bay and Newlyn Harbour. It offers the benefits of countryside living with seaside pleasures. Sleeps 6-8 plus a cot, the ground floor accommodation consists of a well-equipped kitchen/diner, shower room with WC, and twin en suite bedroom adjacent to the bunk-bed room. Upstairs is the master bedroom and a lounge with a sofabed and stunning countryside and coastal views. It’s back for another year, the annual Cornish event of the St Ives Feast and Hurling the Silver Ball! We’ve covered it before, but it’s such an exciting tradition and spectacle, we thought we’d cover it again so that you can go to watch this 10th February. The St Ives Feast celebrates the anniversary of the consecration of the Parish Church of St Eia in 1434 AD. It starts with the mayor’s civic procession for the blessing at St Ia Well near Porthmeor Beach, and is followed by the hurling of the silver ball, when participants try to win the ball from one another throughout the town. The winner is whoever returns the ball to the mayor on the steps on St Ives Guildhall on the stroke of midday, where they will receive a silver coin. Rest your head at The Salt Lodge in the extremely popular Downalong area of St Ives. A 4 bedroom Grade II listed cottage sleeps 8 (plus a baby) and is perfect for a large family or two families holidaying together. There are two beaches just a few steps away from the cottage and it is situated in a quiet part of this lovely fishing village. 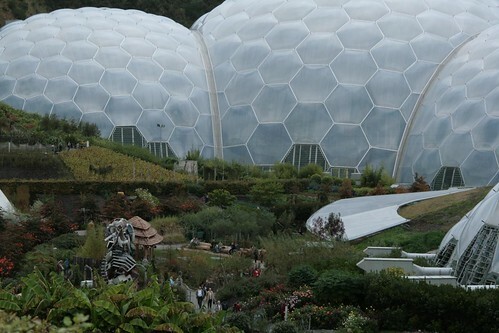 Once a “must see” attraction, the Eden Project has reported its worst ever loss in its 2012-13 accounts. In a report by the BBC, The Eden Trust’s accounts show a £6.3m deficit for the year ending March 2013, compared with a surplus of £136,000, the previous year. 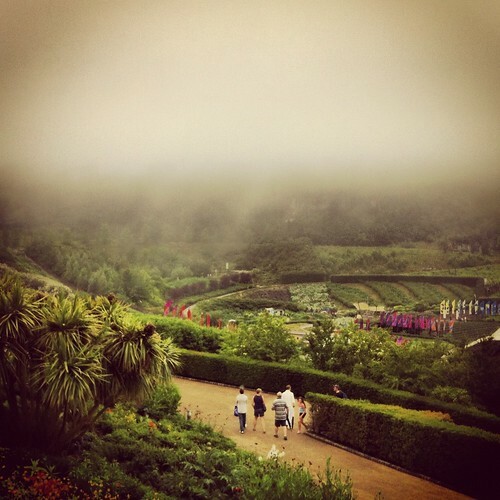 The Eden Project is based in Cornwall and made up of huge greenhouse domes, and is home to the world’s largest indoor rainforest. It opened in 2001 as a showcase of nature, and in its first ten years more than 13 million visitors passed through the attraction. The reasons for such poor figures were due in part, it said, to the 2012 Olympics, poor summer weather, and the economic downturn. Malcolm Bell of VisitCornwall told BBC News: “Eden is a major attraction – a flagship – and when it opened it was a ‘must do’ both for local people and for visitors coming to Cornwall. A free ride on the land train, often pulled by a tractor. If you’re persuaded and fancy a visit next time you’re on holiday in Cornwall, then we have hundreds of cottages in and around St Austell so you can have easy access to the attraction. How about this lovely 2-bed apartment (sleeps 4 adults) with an additional child’s “pull-out” bed available. Converted from St Austell’s famous China Clay Drying House it has a chic modern interior throughout, and is perfect for exploring many parts of Cornwall, and of course, visiting the Eden Project. Oysters and Thundercats this week! Two Cornish events this week – the first one is the Falmouth Oyster Festival this Thursday 10th to Sunday 13th October, and the second is the Thundercats (sorry, not the cartoon) Power Boat Racing at Watergate Bay 11th to 13th October. So, to start off the oyster dredging season, the Falmouth Oyster Festival promises to offer some of the finest oysters to be found, along with a diverse mix of additional Cornish seafood caught in the region. There will be many activities such as cooking demos by leading local chefs, local ale, children’s shell painting, a town parade, live music and much more! If that doesn’t ‘float your boat’ (excuse the pun!) then there is always the Thundercats Power Boat Racing where spectators can watch the action-packed races from the shore to see who will make world champion! With views over Watergate Bay, this 2 bedroom apartment (1 double, 1 twin) on the Porth side of Newquay still has some availability for this weekend. A brilliant location for sea, sand, surf and that all important beachside pub 400 yards away!